The experience of our service team is unsurpassed. Simple window displays all the way up to Channel Letters and Pylon structures are no match for this service team. Large scale service agreements for local and national companies are a specialty for Greenfield Signs and Lighting. We have serviced literally hundreds of signs through the years. This has allowed us to perfect the process from start to finish. Their are a variety of signs available to promote your business along with sizes and styles to choose from for your business. Whether you are searching for a new sign or just need us to take a look at it for maintenance and repair, we are your team of professionals. You can check out the different types of signs we create, fabricate and install to narrow down your sign of choice. Once you are ready, feel free to reach out to us with any further questions. Click to learn more about sign repair services. With a fleet of cranes and service trucks, the Greenfield Signs team will install everything from your directional post and panels to Main ID Pylons. 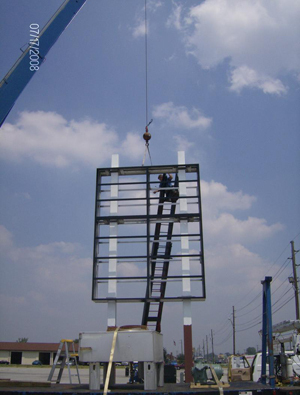 We also specialize in large scale install contracts for many national company’s. Do not worry or hesitate to contact us. We provide affordable quality sign services for small businesses as well. We understand that budgeting and resources are unique for each company, large or small. So grab the telephone and call us now. A no obligation consultation will be provided at no cost to you. 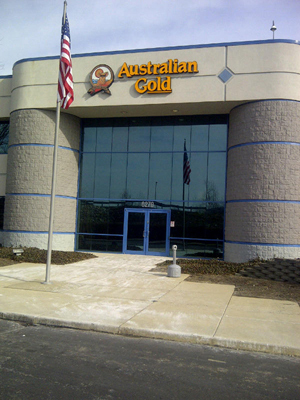 Find out how investing in a new sign can increase your profits.